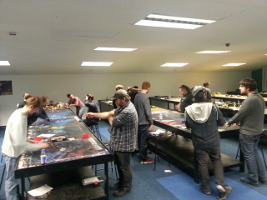 Our Gaming room in Stirling is the largest dedicated space in Scotland, comfortably holding 20 6'x4' tables. Yet there is still a comfortable separation between the rows. The rows can be divided to any size allowing for a great flexibility in layout. 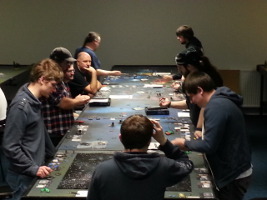 Mega-Battles and Apocalypse sized games can be played along the whole 24 foot of table, additional tops can extend play across the aisles and join two rows together. 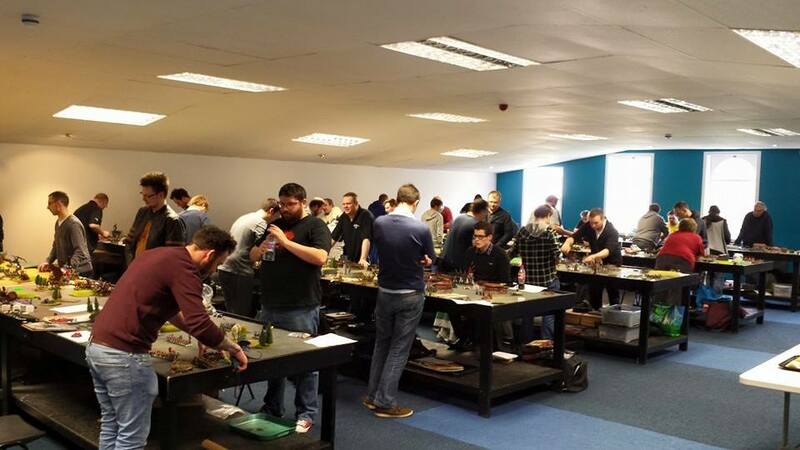 All the terrain is provided and is high quality, all genres can be catered for.For only £3.50 per person for a wargaming table, and £2.00 per person for a card/board game table we offer the best gameplaying space in Scotland at very reasonable cost. Card, tabletop and roleplaying games are also well catered for with space to seat 50 in comfort. 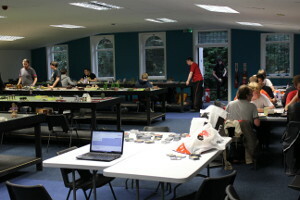 We also have large round tables for larger tabletop games, which are also perfect for RPGs.